To enable a repeater to be put into a copper conductor cable system a joint had to be made between the cable and the repeater. Each cable and repeater had a length of 0.310" tail cable attached during manufacture. 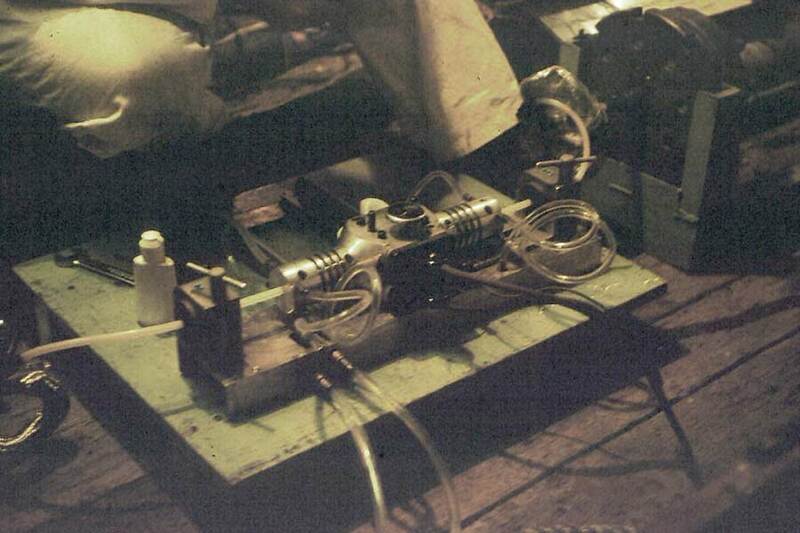 Once the cable and repeater had been loaded on to the cable ship and correctly positioned, the 0.310" cable tails were then joined together by means of a brazing machine and then a coating of polythene was moulded over the braze. The tail cable was then coiled inside the repeater, the main cable was locked onto the repeater by means of a locking cap, (the round cone at the front ) and rubber buffers fitted. These buffers assisted the repeater during the laying operation whilst passing through the linear engine. Jointing operation taking place on board ship during the SEA-ME-WE 1 project. The STC Southampton jointing team is in the final process of making the joint prior to closing the repeaters. 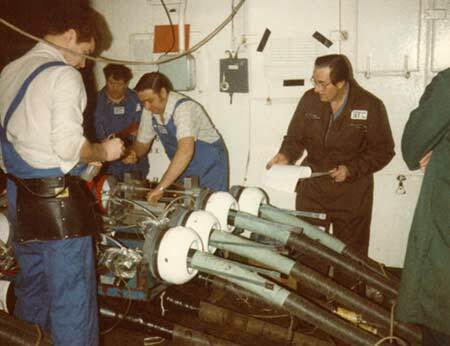 The chap in the brown boiler suit is Ken Mann, the STC project engineer from Greenwich.